Familiar with DIY rocket stoves? 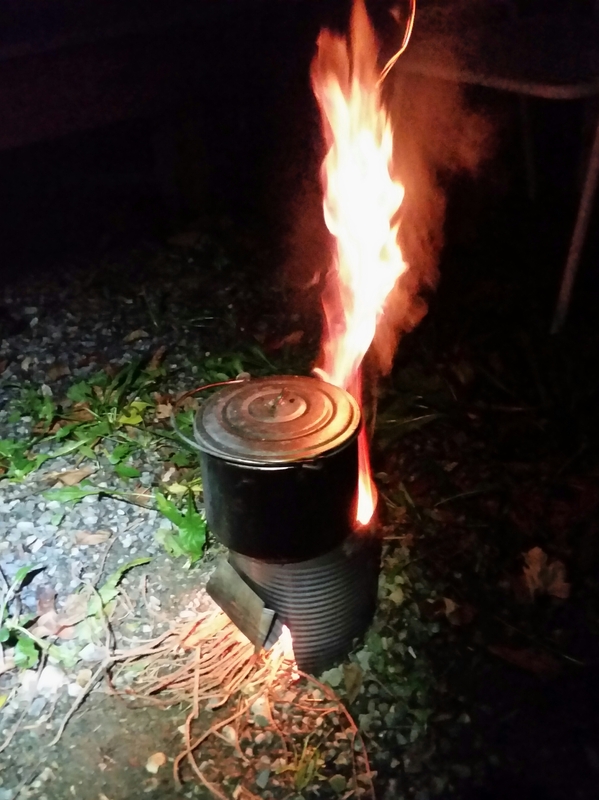 Sometime ago I wrote a semi coherent rant I called “The Hobo and the Rocket” in which we dove into some tin can stove history and design. So, I was holding a #10 can… You know, the giant cans that are usually filled with something wonderfully obscure and industrial… like butterscotch pudding! So. Ya. That’s pretty much it. Pop a couple holes in that son of a gun. Remove lid. 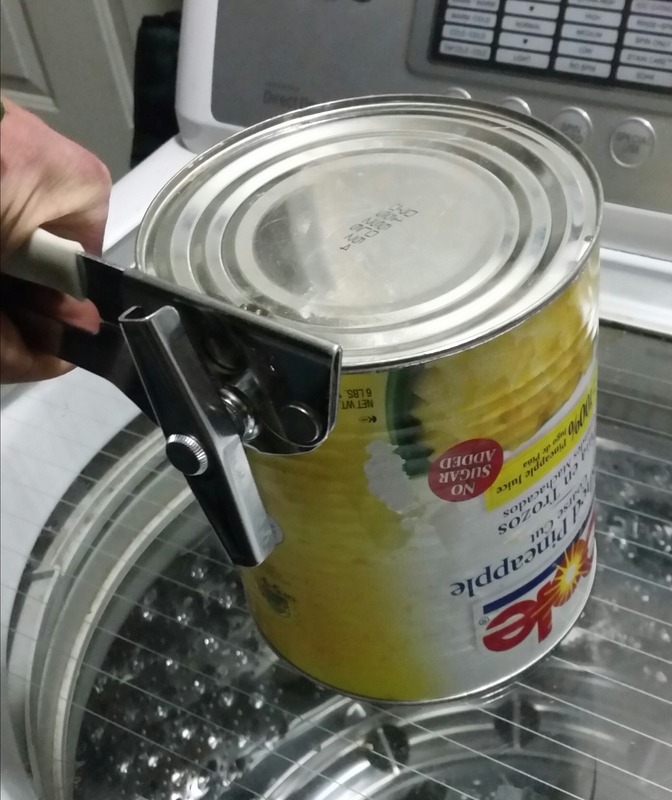 On the other lid, use the can opener to cut 1/4 to 1/2 way around. Bend the lid into the can at 45-90°ish angle. This hole is the chimney. 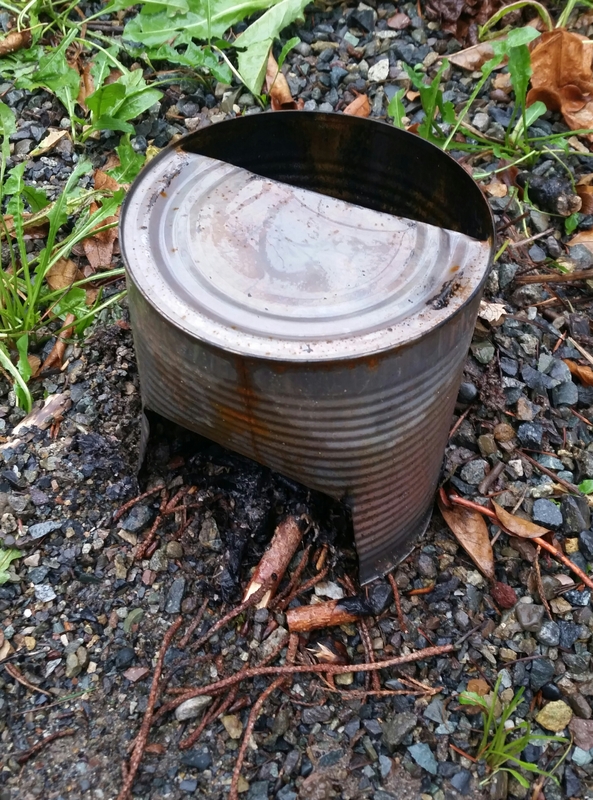 Get a fire roaring and burn out the toxic can lining before cooking with the #10 Stove. 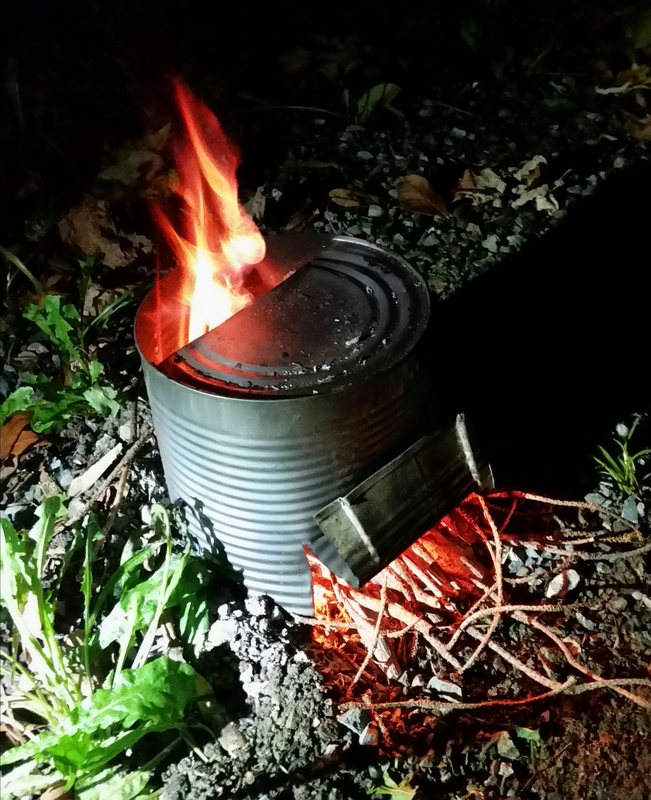 The #10 Stove is simple to build, cheap, and it gets the water boiling fast with just a few handfuls of kindling. Try using a handy dandy firestarter to really get it going! Construction is much less complex than an insulated rocket stove and the results are just as good, at least on the #10 can size scale. No extra parts means extra ease if you decide to drag one of these babies out to a favorite secret camp spot or wherever. Give it a try and you’ll probably agree! I’ve got a few secret caves and such I keep one stashed at for camping!